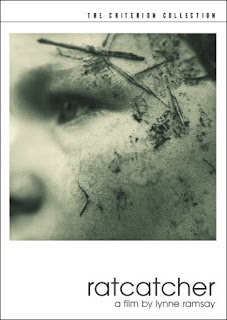 , Scottish director Lynne Ramsay’s exceptional debut feature film (she was earlier into making award-winning short films), is an exceedingly bleak yet hauntingly lyrical coming-of-age story of a 12-year old resident of Glasgow. Set during the 1973-strike of garbage-workers, working-class Glasgow here is a picture of squalor, decadence and grunge. And amidst a plethora of rats and an equally filthy group of hooligans resides James, a frail, socially inept and emotionally withdrawn boy (more so because of his role in the accidental death of a neighbourhood kid), who lives with his parents and siblings, forms an unlikely platonic-relationship with an older, troubled girl, and dreams of moving into their new house in the countryside. On one hand, the movie might not be easily palatable for its grim subject matter, and disconsolate, dreary and disturbing portrayal of poverty, juvenile delinquency, broken homes and self-destruction; on the other, it boasts of moments of absolutely stunning visual beauty that is almost heartbreaking in its candid depiction of the world through a child’s eyes. The movie isn’t so much about its plot as it is about its imagery and characterizations. And in its daring (and at times, even poignant) portrayal of not-so-innocent children, Ramsay kick-started her tryst with cinema in quite memorable fashion. Hit List, Sandip Ray’s first foray outside “Feluda” movies (adapted from stories written by his late father Satyajit Ray) since the wonderful Nishijapon, has yielded, at best, mixed results. The movie was touted as a thriller, and it opens quite spectacularly with a murder that is almost Hitchcockian in its fine buildup. However, it would be more prudent to consider the movie as a psychological drama reminiscent of lowbrow film noirs – yeah, those iconic low-angle shots are there in plenty. The executive director of an advertising agency, on unraveling a corrupt deal by four colleagues of his, get bumped off and his body disposed such that his death looks like a case of drunken driving. However, as the saying goes, “Hell hath no fury like a woman scorned”, his lovely wife (played with surprising élan by Koel Mallick), who is bloody pissed off, decides to get even-steven with the scot-free culprits. The acting is decent throughout if not spectacular; Saheb Chatterjee was especially impressive, though Dhritiman Chatterjee, in my opinion, was wasted. Perhaps a whodunit structure might have worked better as the similarly styled (though far superior) Shubho Mahurat, by Rituparno Ghosh, did. Agreed, the movie didn’t manage to match our high expectations – in that sense it’s a disappointment. However, despite a few loopholes here and there, I wouldn’t be so highbrow as to call it a failure. 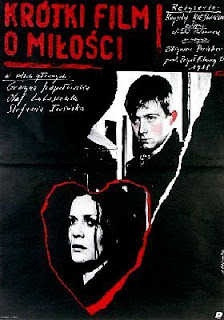 An expansion of the fifth episode of his legendary ten-part miniseries Decalogue, Polish master Krzysztof Kieslowski’s A Short Film About Killing is based on the Commandment “Thou Shalt Not Kill”. I have seen my fair share of disconcerting movies, but rarely one as incredibly dark or as immensely disturbing as this one. Like its companion piece A Short Film About Love, the movie's basic premise is simple – a young, mysterious and eerily psychotic drifter , for no apparent reason or provocation, brutally murders a middle-aged cab driver, and thus ends up getting sentenced to death and executed by the Polish state despite a valiant attempt by a young, idealistic and neophyte lawyer. The movie starts off with the shocking and deeply foreboding images of dead rats and a cat hanging by the neck – a brilliant yet subtle indication of the story ahead; thus, by the time we have been introduced to the three main players of the story, we know they are on a collision course (though not necessarily destructive). Kieslowski took a direct stance against capital punishment here. However, one doesn’t really have to endorse his strong socio-political views in order to appreciate the thematic relevance, artistic excellence and technical virtuosity of this powerful movie. El Crimen Del Padre Amaro is on a topic that is as complex as it is controversial. The movie concerns with the subject of the fundamentalist and sanctimonious nature of religious (here, Christian) pastors and priests, and this, despite the hypocrisy, corruption, power politics and moral decadence within the Catholic Church. Mexican superstar Gael Garcia Bernal has starred as a young priest who is sent to a small ultra-religious town as part of his training. There he falls for the nubile daughter of a lady, who in turn is having a secret affair with the ageing Padre under whose tutelage he has been placed. The director certainly had the guts to tackle such a subject head-on without diluting any of its contents. However, where considerable subtlety and a more matured storytelling was of utmost essence, the director opted for an overtly brazen approach to ensure that his polemic doesn’t get lost on his viewers. Thus, even though the movie was reasonably engaging to watch, and the social milieu of Mexico too was quite well captured, for me it failed to be the thought-provoking movie capable of creating a lasting impression that I’d eagerly hoped it would be. The acting, too, was mostly amateurish, with the exception of a handful of the older members of the cast. 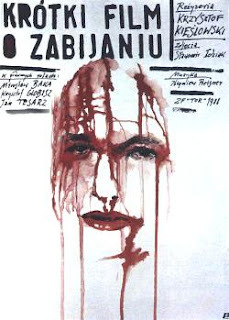 Katalin Varga, my second (and possibly my final) movie viewing at the ongoing Kolkata Film Festival, is a well-made, brooding, near-Dostoevskian tale of revenge and redemption from Romania. The bleak yet emotionally resonant exterior, art-house flavour, and distinctly folksy/old-world feel, belie the fact that this is the debut feature of Peter Strickland, who, interestingly, happens to be British by birth. A good revenge story isn’t necessarily one loaded with an ingenuous plot and high-octane thrills. 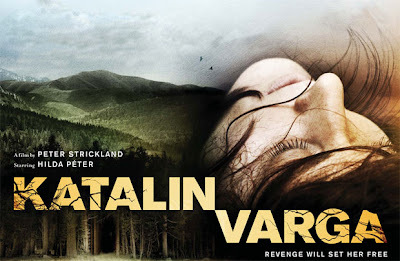 Katalin Varga, which is about the eponymous lady’s bid to get even with a couple of men from her past, lies in the domain of such movies as Sympathy for Mr. Vengeance and Revanche, where violence lurks just around the corner, ready to explode at the first given opportunity. In fact, the fate that Katalin finally meets reminded me about the climax in the Park Chan-Wook work, while its philosophical undertones were reminiscent of the Gotz Spielmann film. The luscious Hilda Peter, in the role of the wronged woman out to seek justice, has brought in the right mixture of sexual undercurrent, motherly care and latent anger in her layered performance. Agreed, the screenplay could have been more gripping; however, the crisp length ensured everyone hung in till the movie’s strong and satisfactory finale. A few critics have accused Danish filmmaker Nils Malmros' Aching Hearts to be a mere recreation of his most famous work Trees of Knowledge. 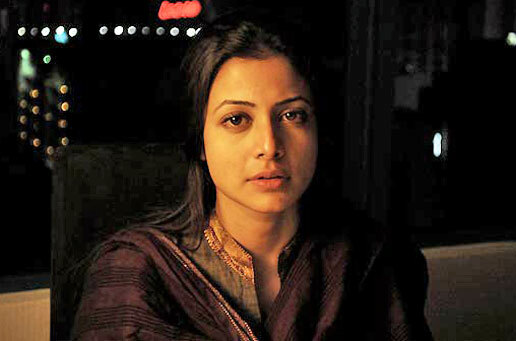 I haven’t watched the former movie, and hence (or perhaps, in spite of that), I found Aching Hearts, which I watched at the ongoing Kolkata Film Festival, to have the credibility to stand on its own. The movie, about a group of adolescent, high school students in 60’s Denmark, has been presented through the eyes of a teenager named Jonas. A nostalgic coming-of-age tale (the movie might very well be semi-autobiographical) has been presented through his complicated relationship with a young, confused girl and fellow student name Agnete, and through his friendship with a couple of guys who too have their lives complicated for reasons of their own. The lilting score added to the various emotions at play here, ranging from teenage angst, confusion and jealousy to finally coming to terms with one’s life. Though the movie dragged a bit towards the end, the director was quick to get things back under control for a well-crafted climax. The movie’s most redeeming feature is that Malmros never seeks to sort out his characters’ complications, thus managing to present a fairly evocative picture of high school life. , through its incredible visual beauty, ravishing silhouettes, dreamy landscapes, sparse dialogues and languid pacing, heavily reminded me of Mallick’s spellbinding first film Badlands. 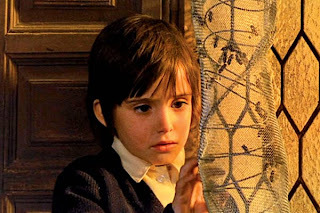 Set towards the end of Franco’s iron-hand reign, a turbulent period that continues to be the source for such powerful films like The Devil’s Backbone and Pan’s Labyrinth, the movie is a lyrical lamentation on lost innocence. Ana and Isabel (amazingly performed by Ana Torrent and Isabel Telleria, respectively) are two young girls who happen to watch James Whale’s Frankenstein at a traveling film show. The movie casts a profound impact on young Ana’s mind as she gradually gets enmeshed in a make-believe world far separated from reality. Meanwhile their parents, too, dwell in their own severely cocooned existences, oblivious of the world around them. This movie still continues to be one of the most moody and haunting depictions of that wondrous yet painfully short-lived time in one's life called ‘childhood’. 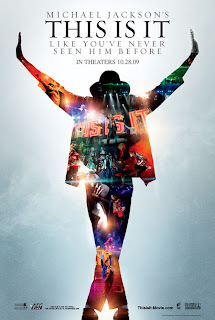 Compiled into a behind-the-scenes kind of documentary from over 100 hours of footage filmed during rehearsal sessions for his last planned world tour, This Is It perhaps comprises of the last few popularly released shots of Michael Jackson prior to his shocking death. At that particular stage of his life, he was presumably no more than a battered man driven, in his personal life, to the edge of sanity and nearly his last penny. Yet we see MJ literally belying his failing health and age through undiminished passion and strive for perfectionism. The fact that a person like him, who has been doing shows since he was a kid, getting so engrossed in the rehearsals and ensuring that every nuance and angle of the upcoming shows are covered to the last detail, is truly something to behold and applaud. Of course, we also get glimpses of the creepier side of his complex persona from time to time, like when he explains with graphic detail how the sound is hurting his “inner ear”. But, despite all our preconceived notions of the man, he comes off as a rather mild-mannered and soft-spoken individual, and a self-appointed Messiah of sorts. What was also interesting to note was his being surrounded by a bunch of sycophants trying really hard to please MJ with their overtly servile behaviour, and genuflecting to his every whim. The “film noir” sequences and MJ dancing to his enormously popular numbers were also fun.